Dwyane Wade has yet to make a decision regarding whether or not he will play for the Miami Heat in the 2018-19 NBA season, but that doesn’t mean he isn’t making business moves outside of basketball. On Wednesday, it was announced that Wade had signed a lifetime contract with the Chinese apparel company Li-Ning. To celebrate, Li-Ning also announced the NBA star’s latest shoe with the brand. Wade began his business relationship with Li-Ning back in 2012. He had previously been endorsed by brands such as Converse and Jordan Brand. Not only will his new deal include the production of basketball sneakers and basketball related apparel, but it will also feature lifestyle apparel. The new deal will also feature Wade taking on a larger role in youth development camps and basketball clinics in China. 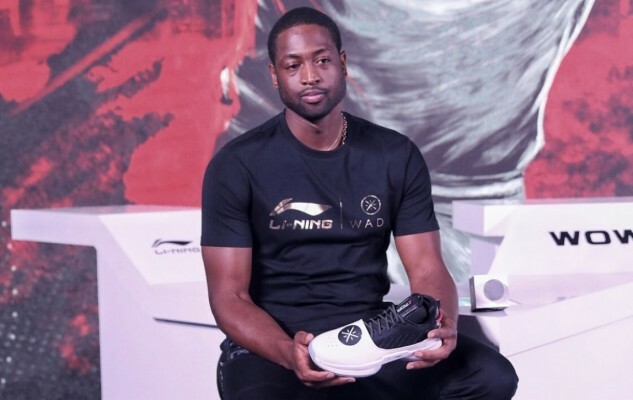 The lifetime deal is a clear indication that Wade is ready to continue his career as a brand ambassador for Li-Ning. Hopefully, Miami fans don’t have to wait too long before they get an indication that he intends to continue his NBA career as well.